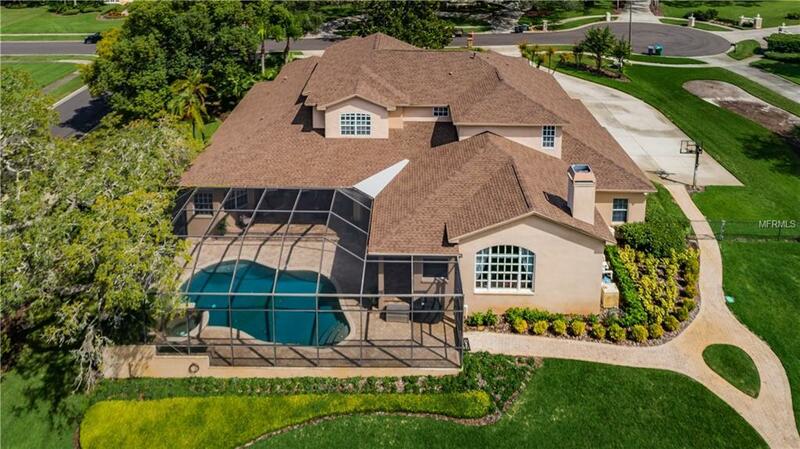 COME AND LIVE THE LIFE OF LUXURY ON THIS BEAUTIFUL PARKLIKE ESTATE THAT IS .82 ACRES(35667') OF SHEER BEAUTY OFFERING ONE OF THE MOST STUNNING PRIVATE POND VIEW PROPERTIES IN PINELLAS COUNTY. 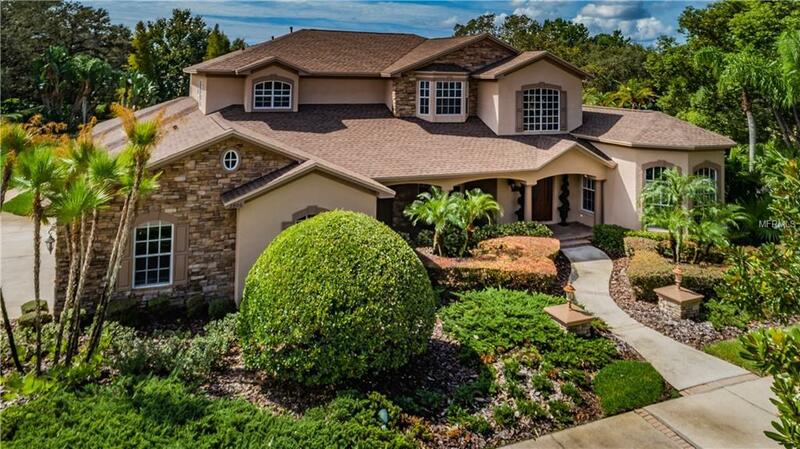 THIS CUSTOM MASTERPIECE HAS OVER 5400' OF AC LIVING SPACE AND A HUGE 3 CAR GARAGE. 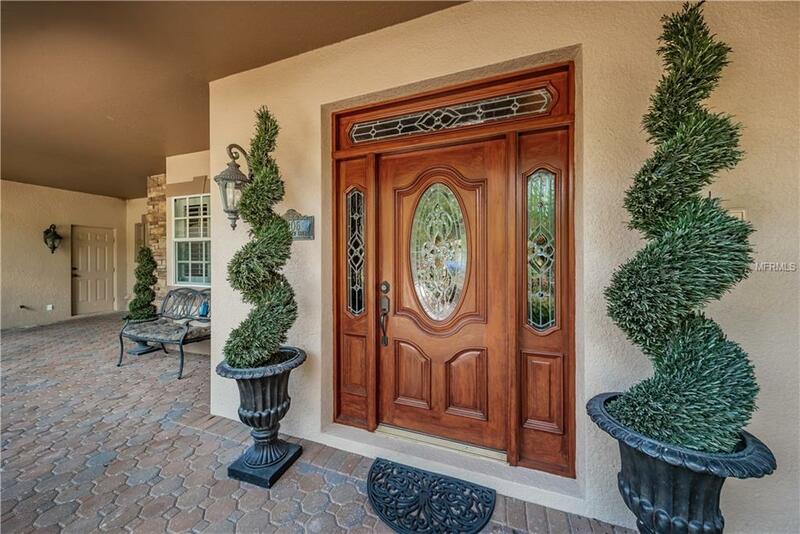 OFFERING 5 BEDROOMS AND 3 FULL AND 2 HALF BATHROOMS, THIS RESIDENCE HAS SO MANY LUXURIOUS DETAILS AND REFINEMENTS. 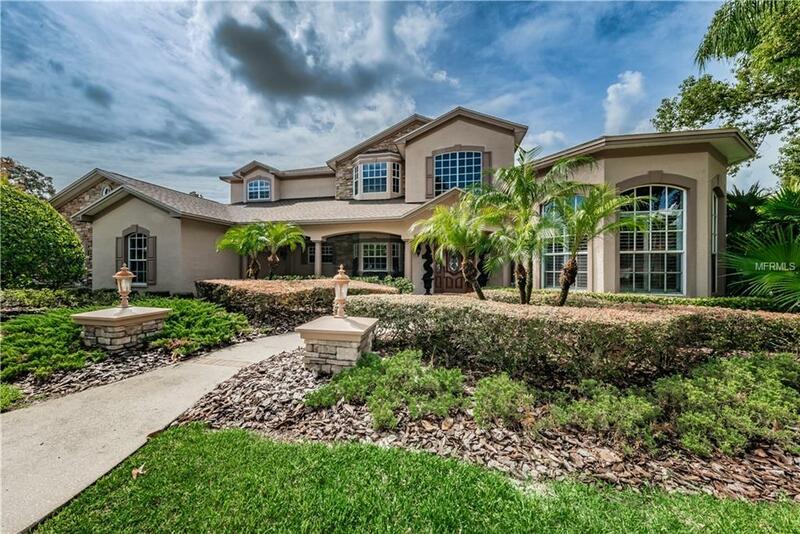 ENTER INTO THE LARGE FOYER WITH SOARING CEILINGS, CUSTOM BANNISTER STAIRCASE AND A VIEW OF THE MAIN FLOOR INCLUDES THE PRIVATE FORMAL DINING ROOM, THE GRAND SALON WITH GLASS DOORS, THAT IS PRESENTLY BEING USED AS A GAME ROOM. THERE IS A FORMAL LIVING ROOM WITH LARGE WINDOWS AND A COZY FIREPLACE. THE DINING ROOM HAS A BUTLERS PANTRY AND SERVING AREA AND A WINE CLOSET. ON TO THE GOURMET KITCHEN WITH UPGRADED APPLIANCES, GRANITE COUNTERS, CENTER ISLAND WITH SINK AND DOUBLE OVEN. THE LARGE AND BEAUTIFUL FAMILY ROOM OFFERS WINDOWS OFFERING VIEWS OF THE STUNNING POND AND PROPERTY, TILED FLOORS AND A SHOW STOPPING FIREPLACE. THERE ARE FRENCH DOORS LEADING TO THE SCREENED IN LANAI AND POOL. OFF THE KITCHEN THERE IS A FLEX SPACE, PRESENTLY USED AS AN OFFICE BUT CAN BE USED AS A GYM, PLAY ROOM ETC. THE IMPRESSIVE MASTER SUITE LOCATED ON THE MAIN LEVEL, BOASTS A SITTING ROOM AND ENSUITE MASTER BATH AND WALK IN CLOSET. UPSTAIRS, ACCESS BY THE FORMAL STAIRCASE OR THE REAR FAMILY STAIRCASE, TO 3 LARGE BEDROOMS, 2 FULL BATHROOMS, GAME ROOM/ 5TH BEDROOM AND STUDY NOOK. ONLY ONCE IN A RARE WHILE DOES A PROPERTY LIKE THIS BECOME AVAILABLE.